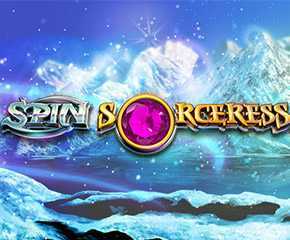 Spin Sorceress is an amazing slot game for the mobile and online platform with 243 ways to win and the amazing SuperBet technology. Created and developed by NextGen Gaming, this game has 5 reels and 15 paylines to keep every type of slot gamer excited throughout their time playing. 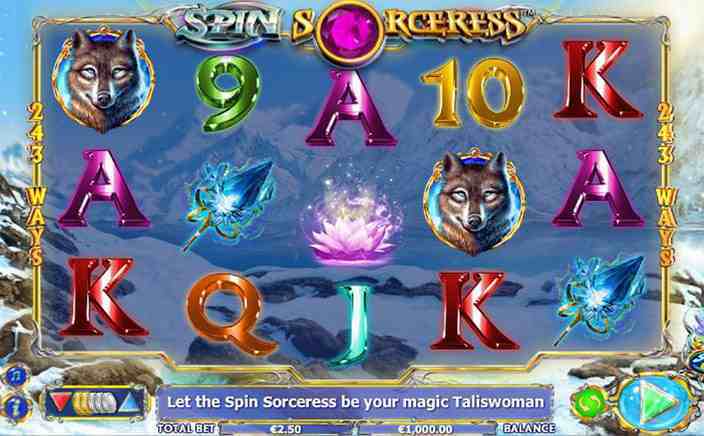 Spin Sorceress is a really good looking game like most of the NextGen slot games that have been released. The reels look really good and symbols themselves are vibrant. The music is wonderful and blends with the theme perfectly to get you in the mood for some exciting time at the slots. The game is also really well optimized for the mobile platform. It works smoothly with no lags whatsoever and loads pretty fast too. There is no problem navigating through the different playing options as well. Now it’s time for the important details. There are 6 prize categories available on Spin Sorceress. The first 2 of these levels consist of playing card symbols with the different cards worth different amounts of money. This is followed by the purple plant which rewards players coins ranging from 20 to 150. Next up is the Blue Sceptre. Here the winnings range from 20 coins to up to 200 coins. Then comes the Crystal ball which pays between 25 coins and 250 coins. The highest level though is the spiritual wolf which pays a huge 500 times your bet. Everyone ought to aim for that, of course! The wild symbol is the Spin Sorceress herself in this game. This symbols appears on the reels 2,3 and 4 helps you form winning combinations. The Sorceress might be exactly whom you are looking for to help you land that huge win you have been wanting. What’s even more great is the fact the will turn the reels wild. This means that a wild is guaranteed to make an appearance on your reels. The scatter symbol in this game which is the blue Magic Eye not only provides you with 10 free spins every time you land 3 or more but also gives you small wins such as 2,5 and 10 coins. This is one cool feature that everyone would wish that other slot games had too. More the free spins, more the opportunity for you to win big and hit great winning combinations. Spin Sorceress is a great slot game. It is fun to play, looks great and you never get tired of playing it. So, there is no reason that one should not play this game. Definitely go and try playing this game. You won’t regret it.